“Yesterday was the Puppy (under 18 months), Veteran (over 7) and young handlers (under 18) working test. The weather was fine with just a couple of short sharp showers. 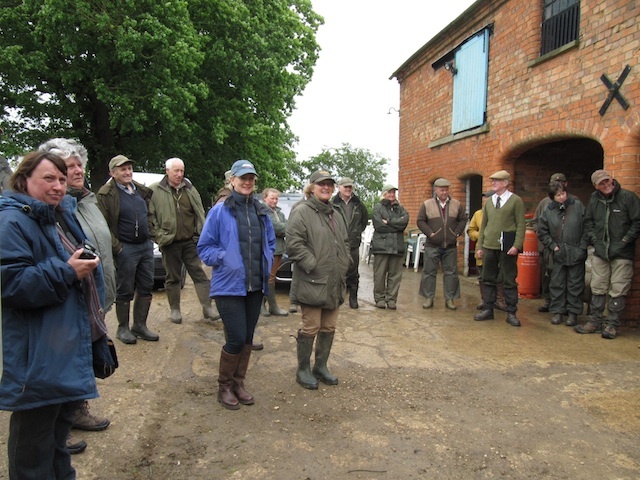 The presentation was made by the Patron of the Leicestershire Gundog Society – Admiral Sir James Perowne. 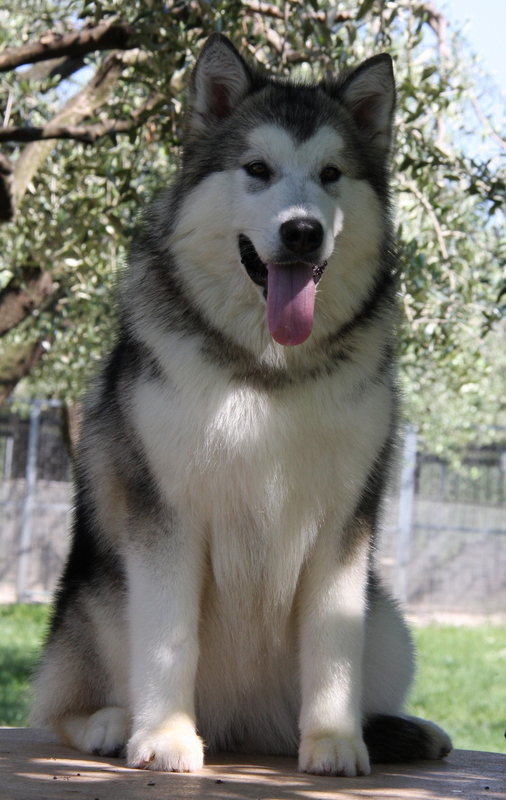 The winning puppy is owned by Ian Glover and is only 11 months old. He got 95 out of 100 and did a wonderful job. 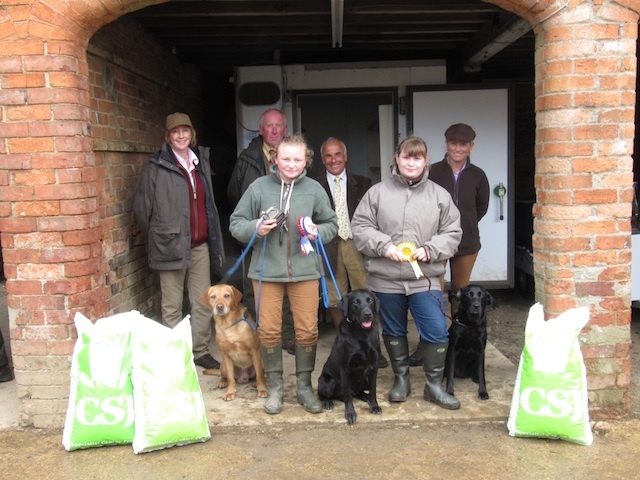 The Young Handler winner was Rosie Chattaway with her yellow dog Consgrove Harry. 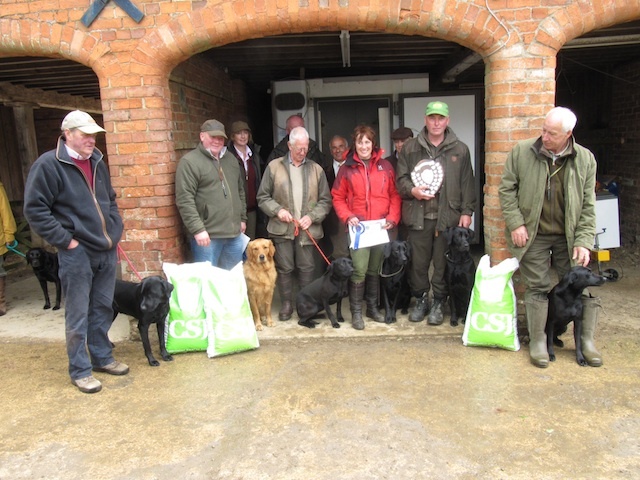 The Veteran was won by Mrs Val Anderton with her 9 year old dog – scoring 97 out of 100 – a fantastic job. 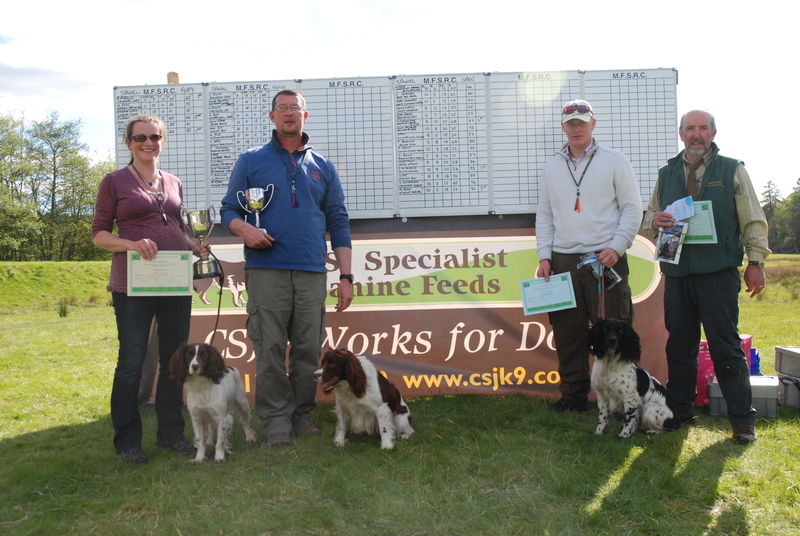 All the award top prize winners were presented with a bag of CSJ Champ! and all award winners were given a ‘Winners Pack’ – the feedback has been great. 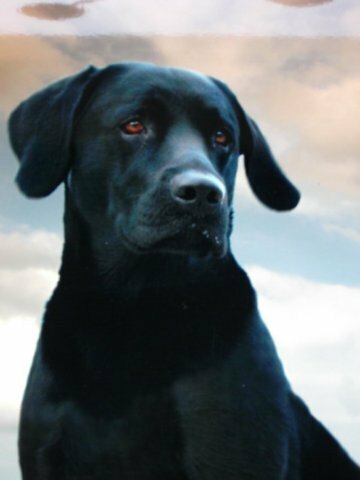 The next competition is on the 4th August to be held in Collyweston, nearr Stamford which will be a ‘Mock Field Trial’ limited to 30 entries. 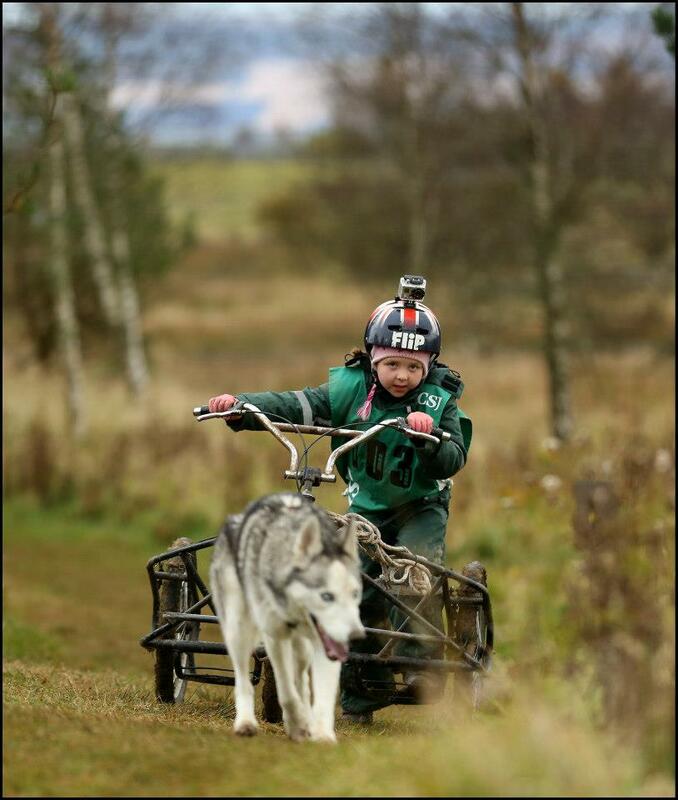 March saw the close of another successful season of top class sled dog racing for the Sled Dog Association of Scotland. 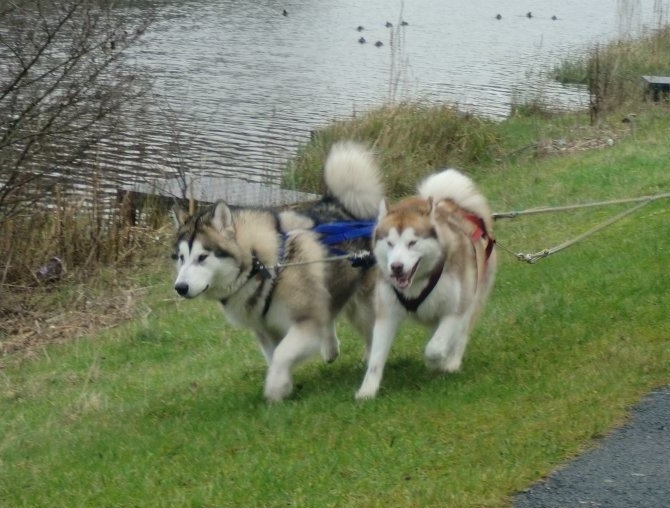 As usual races were organ ised across Scotland at some of the best sled dog racing venues in the country, Darnaway and Culbin in the North, Bowland and Tentsmuir in the central region and Ford to the south. 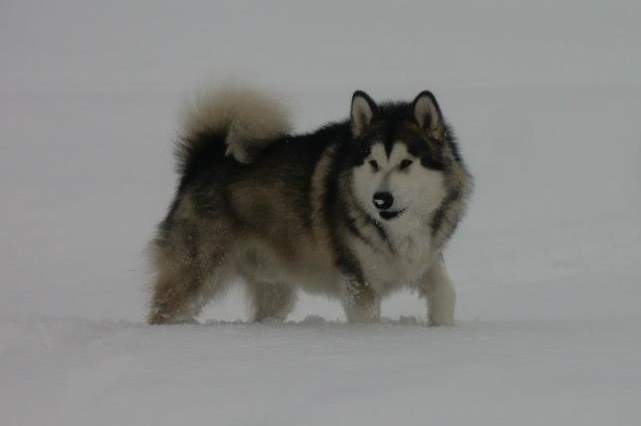 Unfortunately Kershope once again fell foul to inclement weather rendering the trail unsuitable for sled dog racing. As ever racing was closely fought with the top UK teams traveling the distance to compete, with over 100 teams competing at the National Championships alone! SDAS again sent a selected team to compete at the ESDRA European championships off snow in Germany in November. 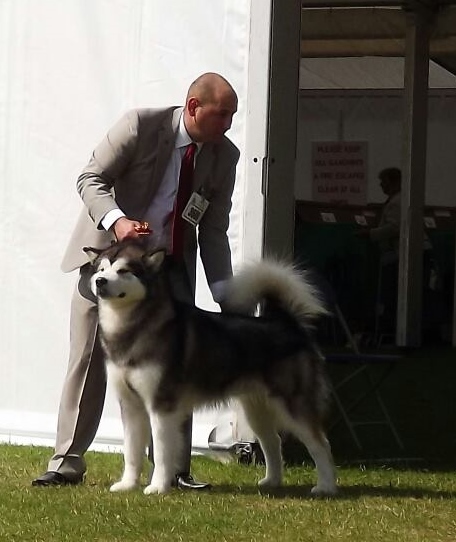 Once again the team performed well and achieved results to be proud of – including Silver medal in the six dog Nordic class going to John Carter with his team of Siberian huskies. 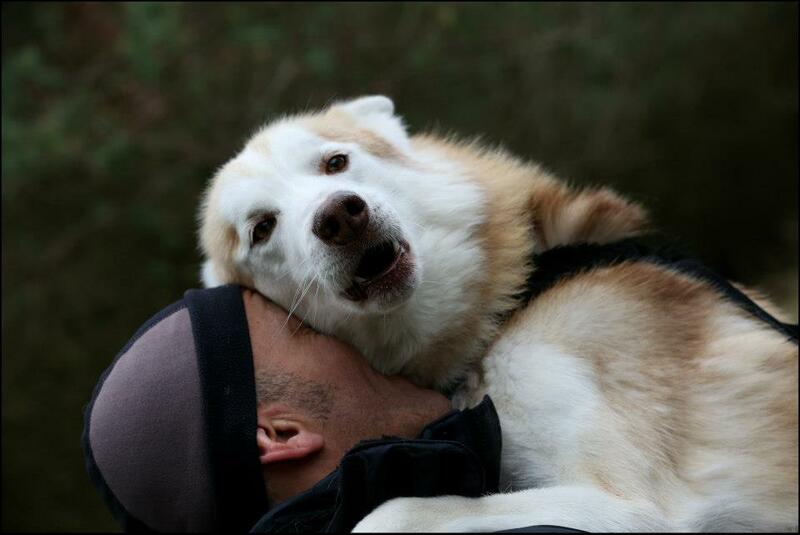 Tobias Leask narrowly missed a medal position and was placed fourth in the six dog open class with his team of Scandinavian hounds, only seconds behind the top three teams in Europe! The 2013/2014 season promises to be an exciting one, with SDAS members again representing Great Britain overseas. In October, members travel to Switzerland for the ECF European Championships and in November to Italy for the International Federation of Sleddog Sports (IFSS) World Championships (off-snow). This coming season sees the introduction of an 8 dog class and a 2 dog Scooter class at all events, a trial for this season. If proven popular these additions will become a permanent feature for future events. Perhaps most exciting of all, for the first time ever on British soil SDAS will host a round of the IFSS World cup. This prestigious event is hoped to attract teams from across GB and Europe. 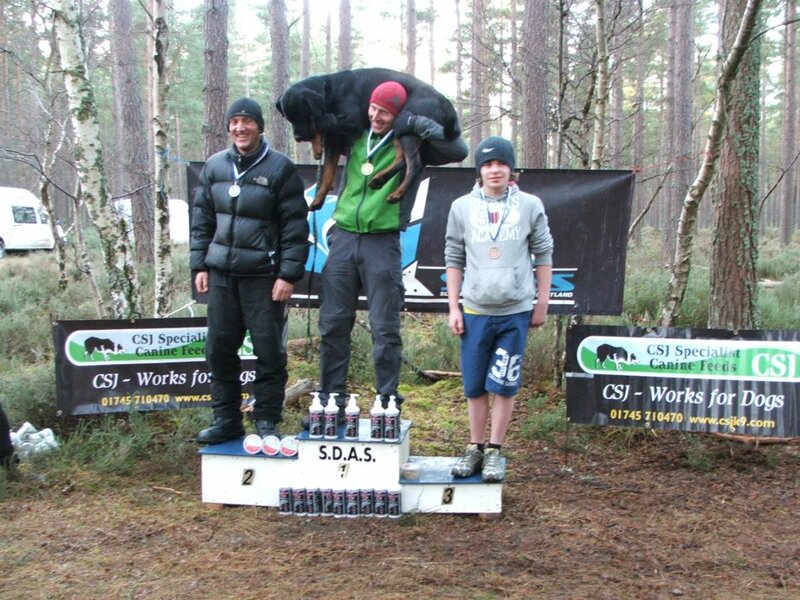 The event to be held at the Fabulous Darnaway estate trails, Morayshire is a part of a worldwide point’s series leading to an overall winner and a world ranking for all those participating. 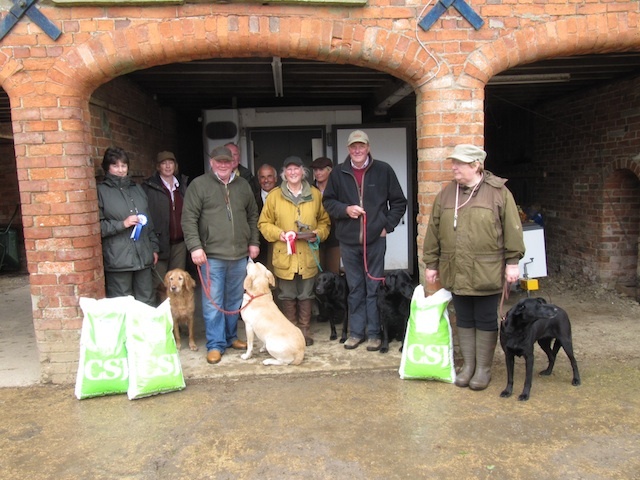 This year’s goodies for our canine athletes have included some old favourites CP30 and Hike on! 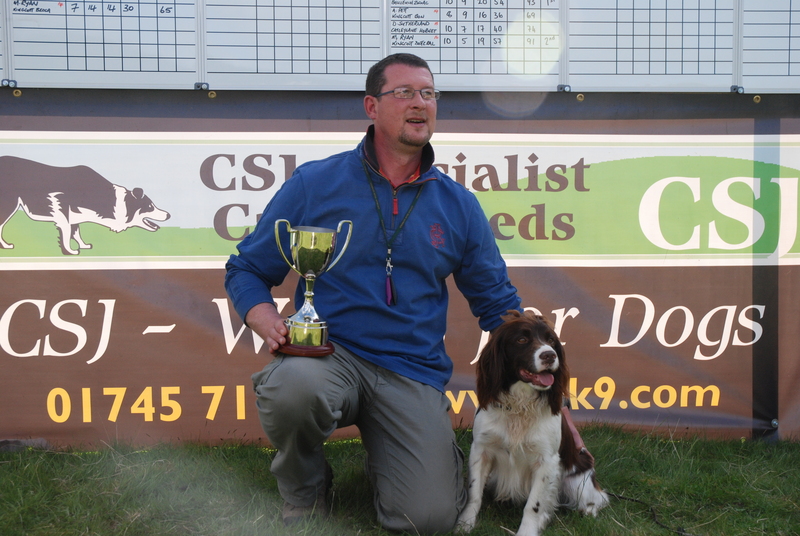 for our series winners and national champions, top quality dog food for top performance; Poppets were again given to all competitors, yummy salmon flavour treats and some mouth-watering new additions to the CSJ range were also awarded; Salmon oil not only delicious but great for skin and coat and Fishcuits, tasty real fish treats that our canine partners find irresistible! The results again speak for themselves – a food fit for champions! 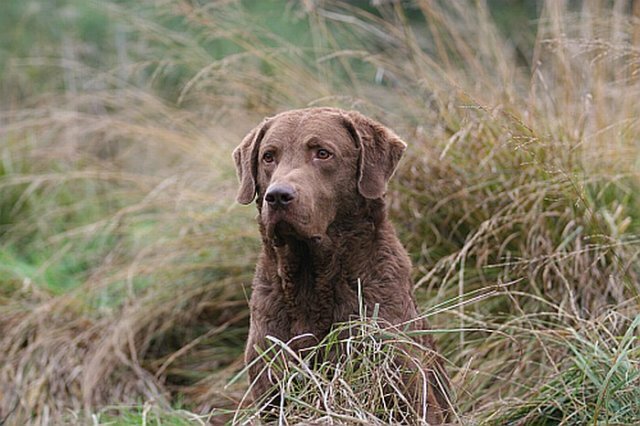 Martin is now getting ready for the Highland Fieldsports Fair at Moy Hall at the beginning of August. 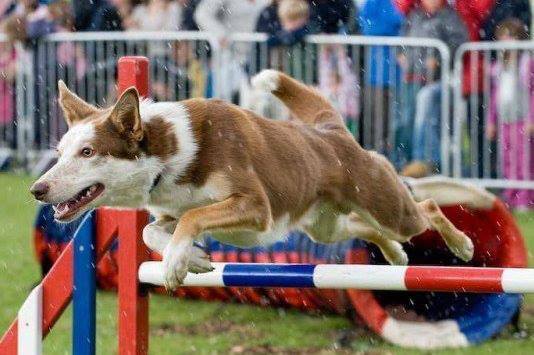 Here’s the full list of finalists for the CSJ Highland Agility Stakes due to run on Saturday July 6th in the Main Ring at the Scottish Game Fair. The judge this year is the vastly experienced Dane Redford. 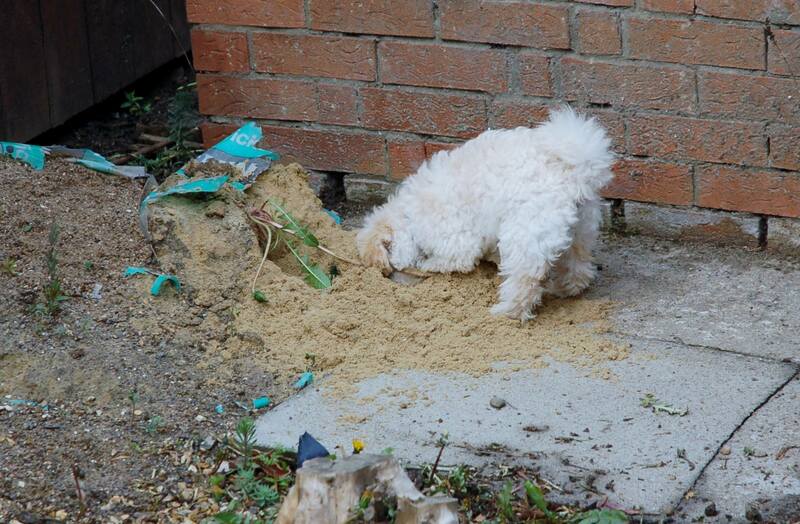 Post your pic of your working dog in action on our facebook company page and give us a ‘like’ and you could win a FREE pack of NEW delish Fishcuits too. We’re giving away three packs of Fishcuits each month to three lucky winners who we’ll draw out of a virtual hat at the end of June. Well done Scott Mossop, Gemma Miles, Ailsa Bailie and Gemma Miles for your great pics. Now let’s see who are going to be this month’s winners. 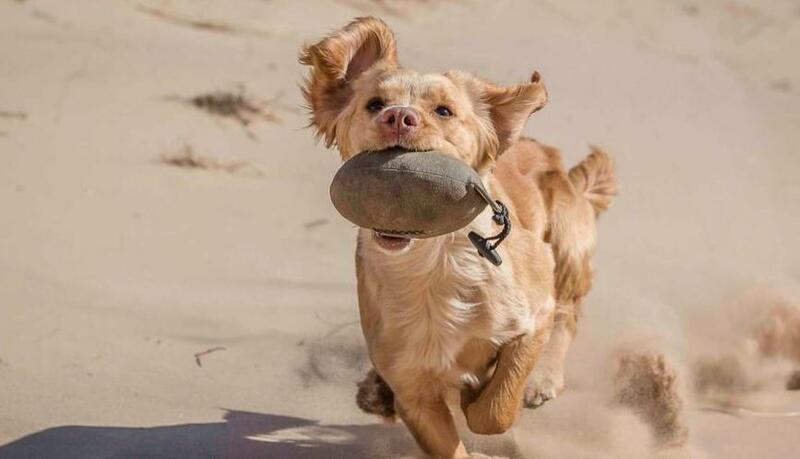 Next week, FFynongain gundogs will be doing the two day Gundog display in the main arena for the Welsh Game Fair and the following week will be at Llanfairpwllhelli carnival at North Wales.